Jetpatcher believes in treating everyone with honesty, fairness, and respect; conducting its business with the highest level of integrity; and open, informal communications, hard work, and sound financial management. Jetpatcher SA (established in 2007) is a company incorporated with the specific purpose, to make a difference in the society we live in today. 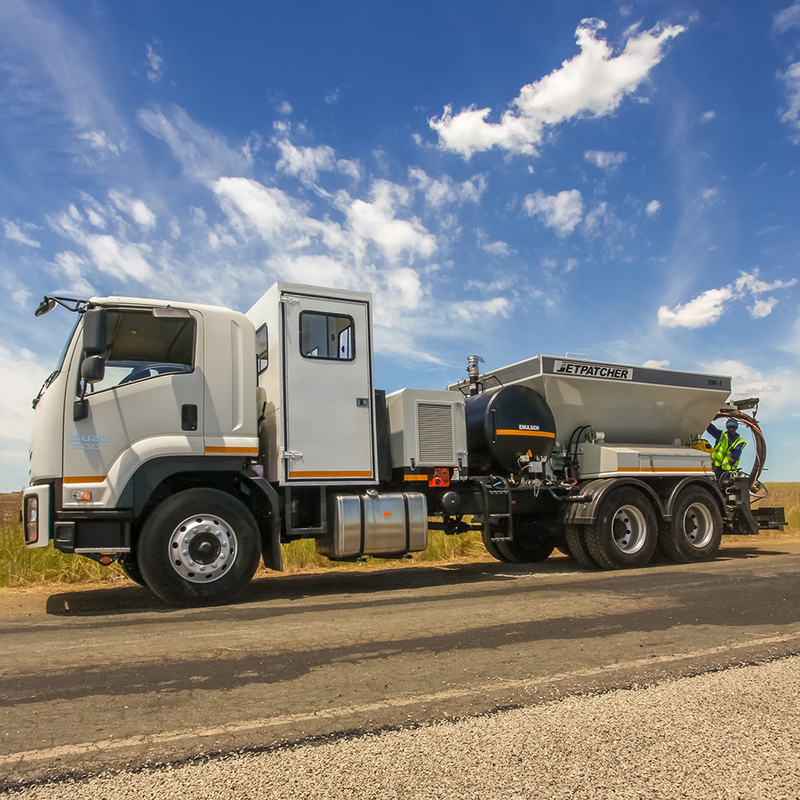 We have a diverse interest in Road Construction and General Road Maintenance. 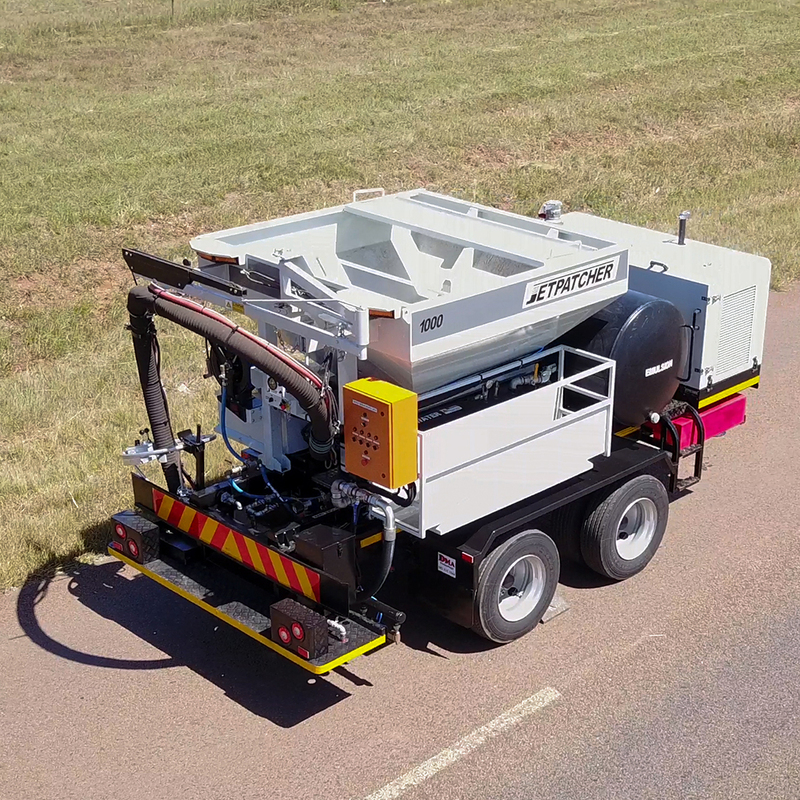 This Jetpatcher system has a proven track record and has been used by Local Government, National Highway Authorities and contractors for over 40 years in more than fifteen countries around the world. 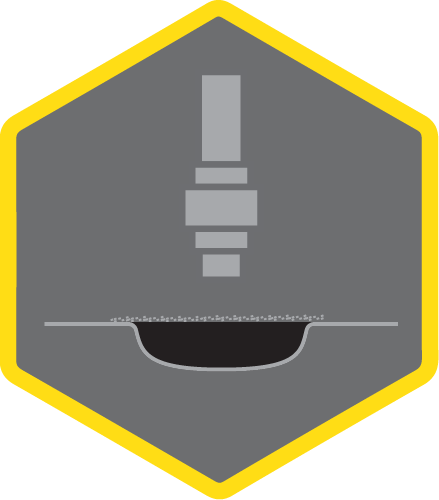 Jetpatcher uses a simple four stage process. The trouble area is cleaned and prepared, sealed, filled, cured and ready for traffic in one smooth operation. 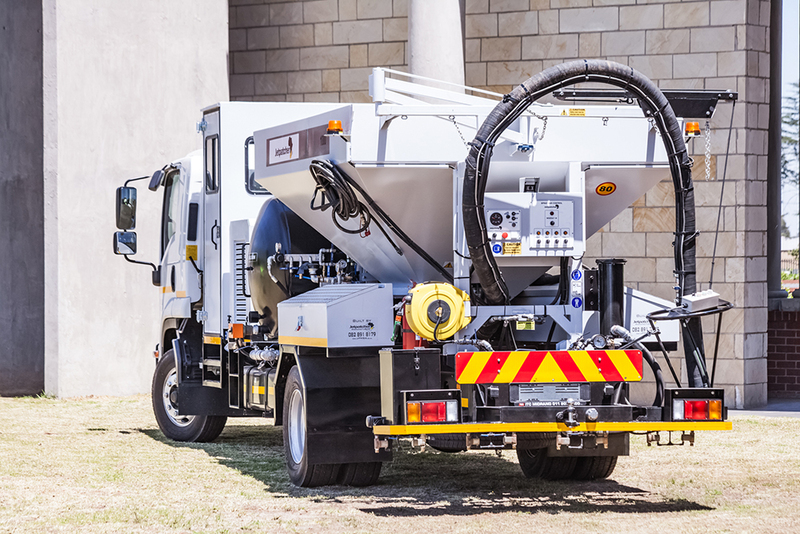 Permanent repairs are made with bitumen emulsion, lasting as long as repairs using hot rolled asphalt. Emulsion is safe and won’t harm the environment. Experience minimum traffic delays with most repairs completed in under 15 minutes. Repairs are ready to be driven over very soon after they have been made. Using the high volume, low pressure blower the Jetpatcher easily blows all loose debris from the pot hole, cleaning it and preparing the hole for an effective patch. The Jetpatcher now coats the pot hole with an asphalt emulsion which seals the pot-hole and prevents further damage from occurring due to moisture. Aggregate is introduced into the pot hole. 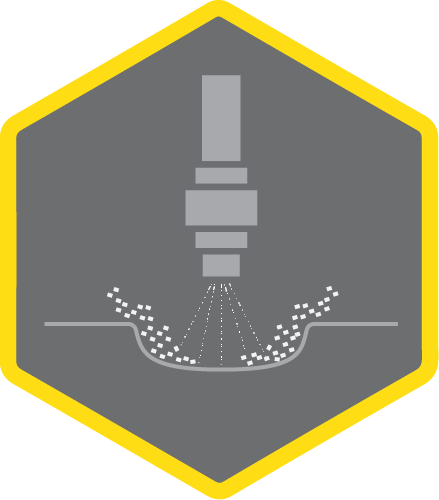 Using the Jetpatcher process, the aggregate is mixed with the asphalt emulsion and blown in to the pot-hole at high velocity. The final stage of the Jetpatcher process. 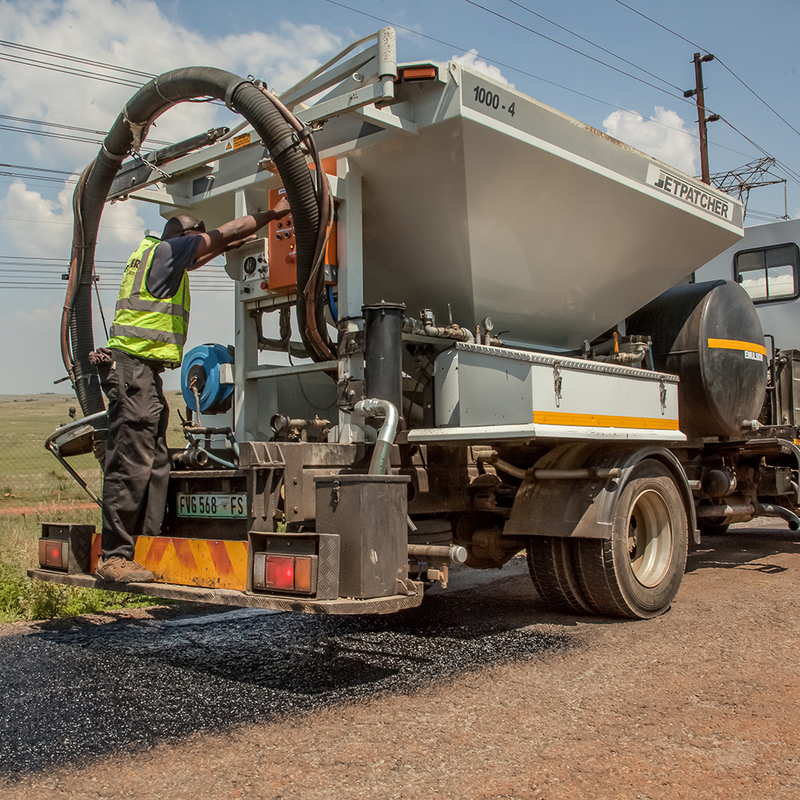 After the pot hole has been effectively sealed and filled, a light layer of dry aggregate is applied to the patch, preventing the patch from adhering to car tires prior to the emulsion fully curing. The patch is now ready for traffic. 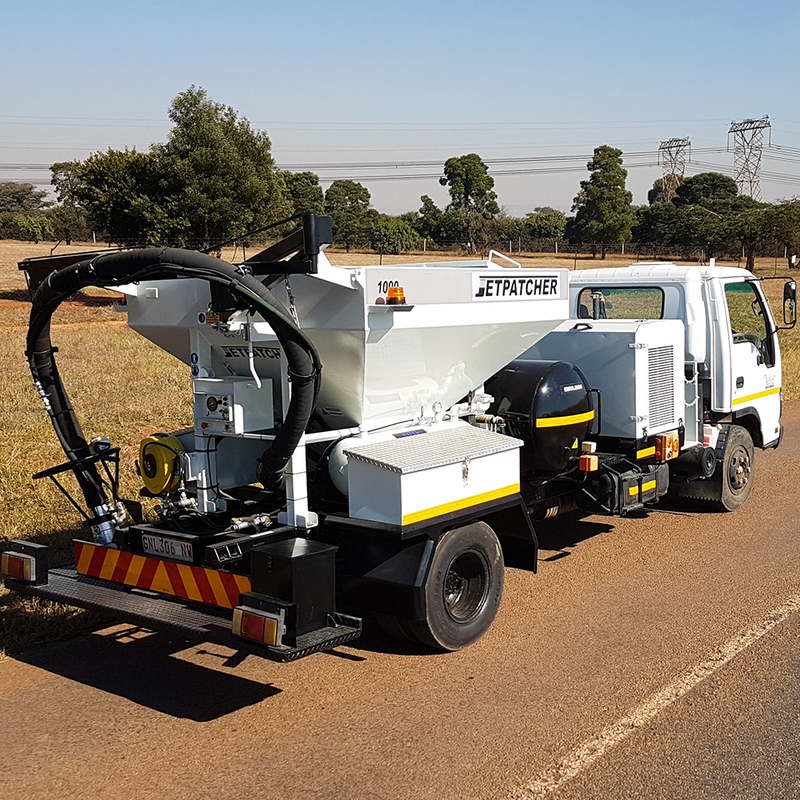 The Jetpatcher provides a cost-effective way of maintaining the wearing surfaces of asphalt roads, car parks, footpaths, industrial areas including repairs of pot holes, crack seals and many other road failures. From 2 to 8 cubic meters of hopper capacity, with emulsion tanks to suit. Local limitations may apply in some countries to axle loadings of the trucks. Units can be individually built to the requirements of our customers. 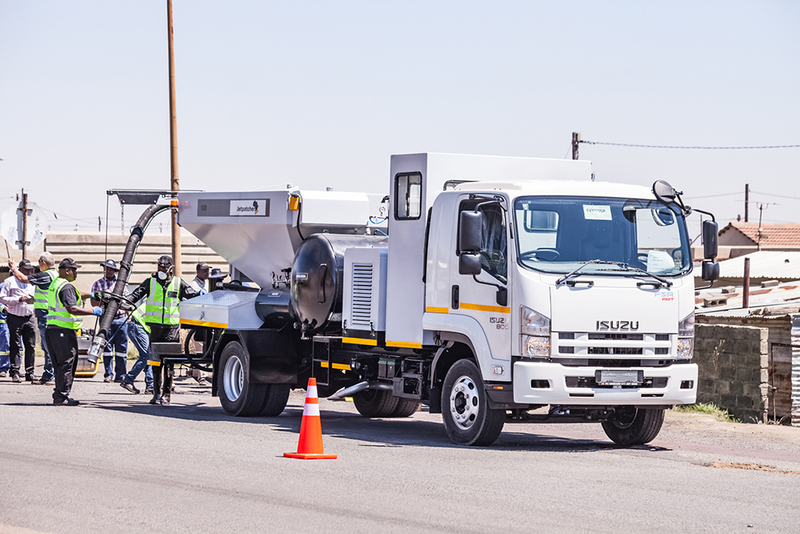 A pothole is a type of failure in an asphalt pavement, caused by the presence of water in the underlying soil structure and the presence of traffic passing over the affected area. Edge breaks generally occur when the road shoulder is worn, there is inadequate strength of the pavement at the edge if the roadway or water enters the pavement through the shoulders. Rutting or crocodile cracking is characterized by interconnecting or interlaced cracking in the asphalt layer resembling the hide of a crocodile. 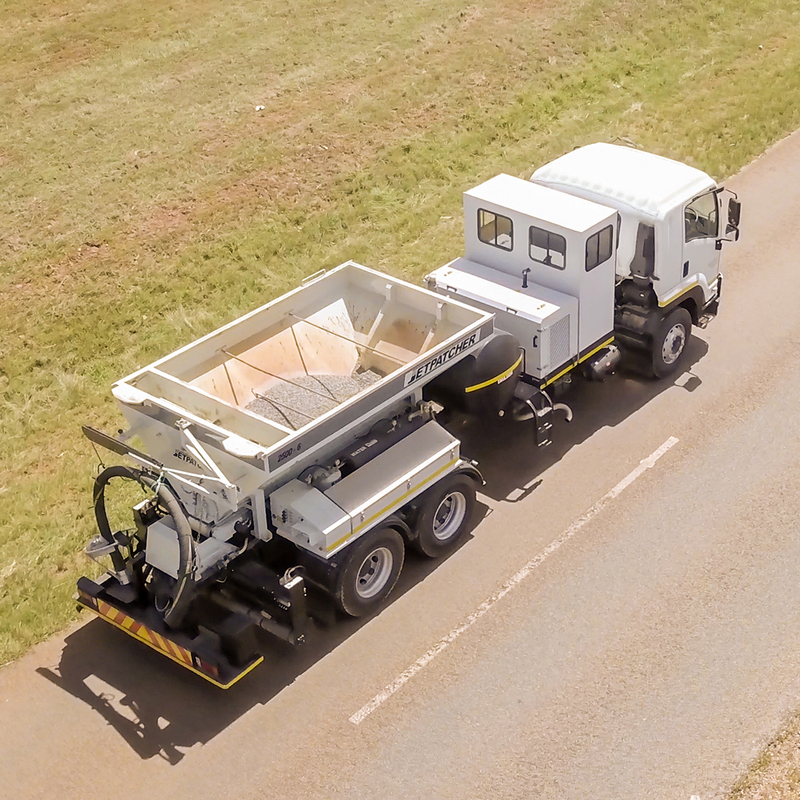 Repair as soon as possible, as advanced cases can be very costly to repair and can lead to formation of potholes or premature pavement failure. Depressions are localized pavement surface areas with slightly lower elevations than the surrounding pavement. Depressions are very noticeable after rain when they fill with water. Crack sealing (crack–filling) is to prevent moisture finding its way into a road pavement. It is also used to seal cracks prior to an asphalt overlay in order to prevent reflective cracking.. Various unit size models exist and can be customized as per your requirements. Training and skills development is also provided to your team when you buy a Jetpatcher Unit. 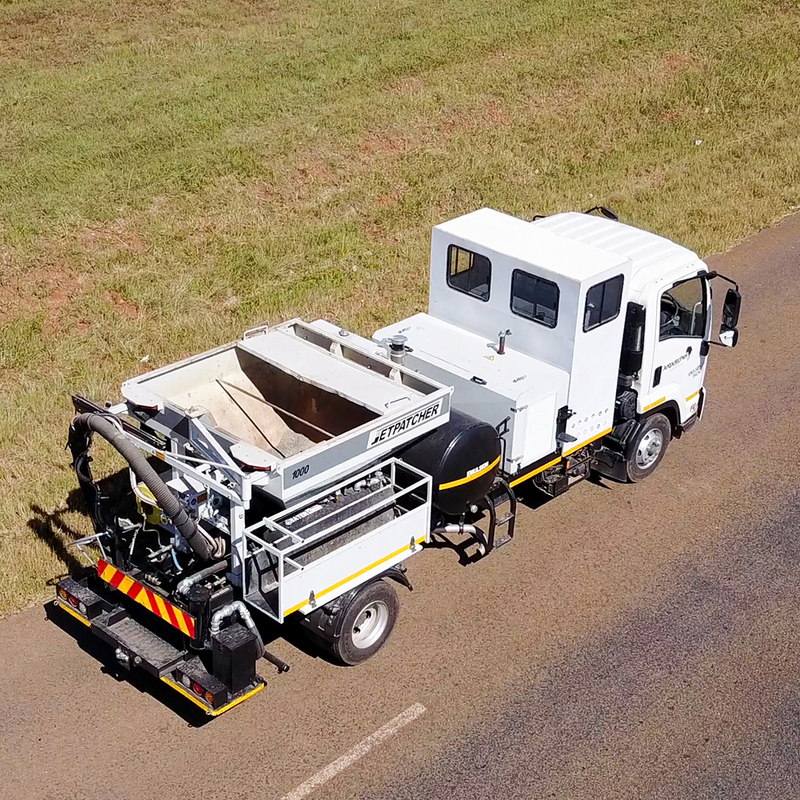 The Jetpatcher unit is accompanied by its own crew along with all the necessary traffic control, tools and safety documents to complete your rehabilitation.